Michael graduated from Michigan Tech in December 2015 with a Mechanical Engineering degree. Michael developed an interest in the rail industry through the Railroad Engineering and Activities Club (REAC) where he had opportunities to tour numerous railroad facilities and intern at Rail Interchange. 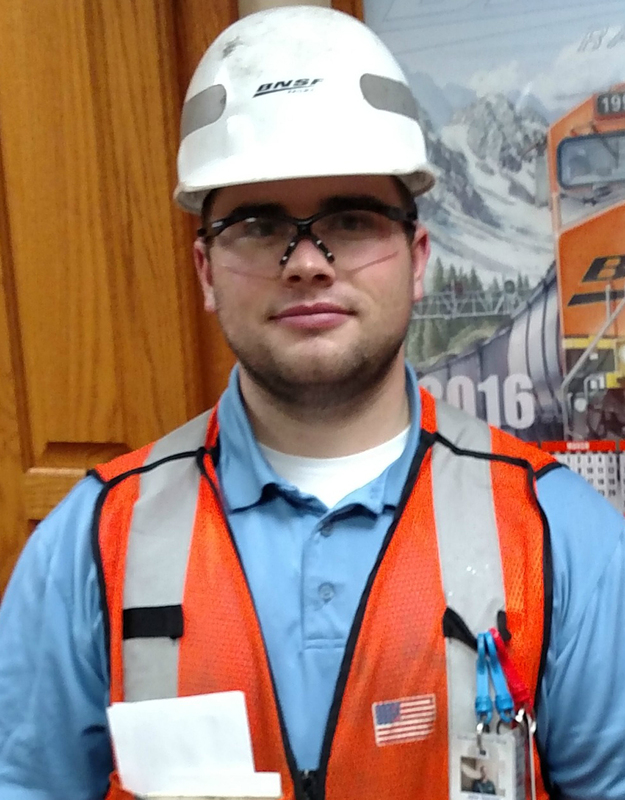 Upon graduation, Michael accepted a Mechanical Management Trainee position with BNSF Railway. Throughout the Management Trainee program Michael attended training courses at BNSF’s Technical Training Center where he learned about EMD and GE locomotives. While based at BNSF’s Northtown (Minneapolis) Diesel Shop, Michael had an extensive 4-month training program with craft employees to develop relationships and learn the processes and safety involved with maintaining BNSF locomotives. Michael was promoted to Mechanical Foreman I at Northtown in October where he leads craft employees to safely maintain and repair BNSF locomotives.